He Holds My Right Hand: Gospel Tools from "Let the Little Children Come"
Children are not too young to understand how they can have a relationship with Christ. Even Jesus said in Matthew 19:14, “Let the little children come to me and do not hinder them, for to such belongs the kingdom of heaven.” In fact, I am personally thankful for the people in my life who shared the Gospel message with me when I was a child. Because of these blessed adults who took the time to share with me, I accepted Christ at a young age and continue to follow Him today. You may be wondering how YOU can start being an effective minister to children. 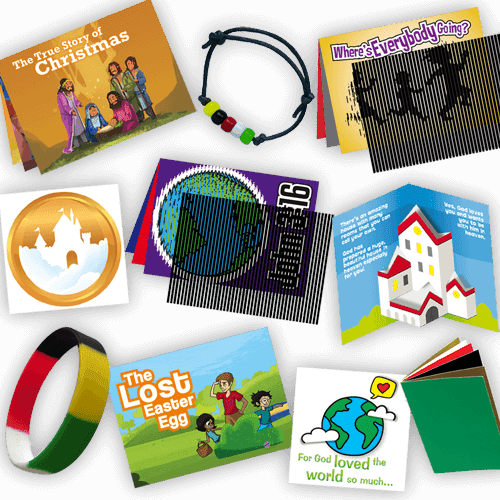 If so, take a look at these evangelism tools available from LET THE LITTLE CHILDREN COME. The goal of Let The Little Children Come is to provide effective gospel tracts, evangelism tools, and resources for children. They are not affiliated with any specific church or organization, but their products are especially designed to capture and hold children's attention, while teaching them about the message of salvation by faith alone through Jesus Christ. I received a SAMPLE PACK of products, which included the 10 items shown in the photo above, and was impressed with the selection of colorful and interesting tools. There are pop-up booklets where an item pops out when you open the pages; there are Gospel flip-abouts that are fun to use (once you can figure out how to use them. Ha! My 14 year old son actually figured it out before I did, but its not too hard); there are classic wordless books, bead bracelets and silicone bands that all have the colors needed to share the Gospel message (Instructions for sharing are included with purchase, or can also be found on the website); and there are animated tracts that include a special plastic sheet which makes images on the page seem as if they are moving. All of these items, as well as several others can be found on the website's PRODUCT PAGE. These would be great items to use in a Sunday School class, children's church, or Vacation Bible School program, or simply to share with your own children. They might even make unique stocking stuffers this Christmas season. Regardless, they really could be helpful tools in effectively ministering to children of all ages. NOTE: As a member of FlyBy Promotions, I received a sample of this product in exchange for this review and post. The opinions expressed are mine alone.